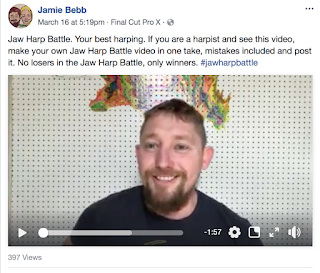 Jaw Harp Battle. Your best harping. 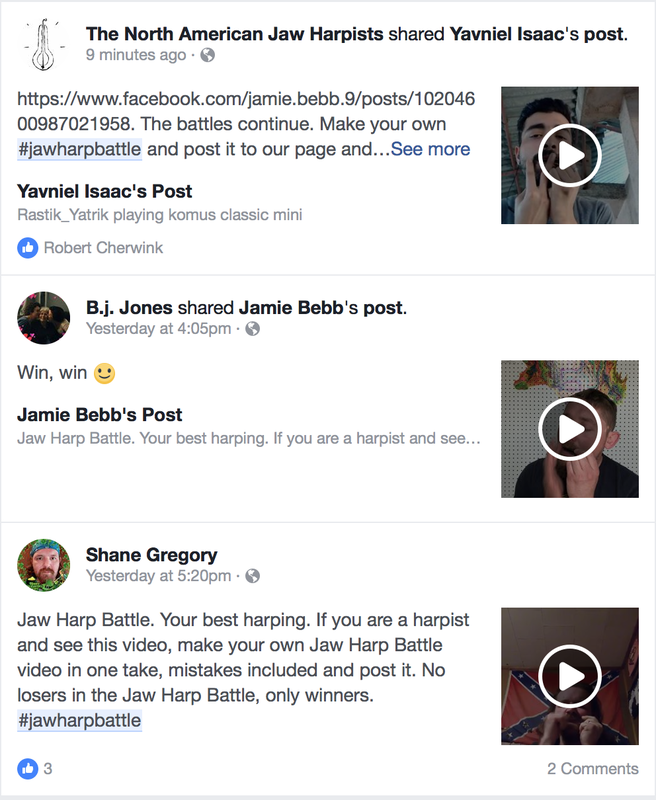 If you are a harpist and see this video, make your own Jaw Harp Battle video in one take, mistakes included and post it. No losers in the Jaw Harp Battle, only winners.